Kyoto University has three main campuses of Yoshida, Uji and Katsura, as well as research facilities across the country. 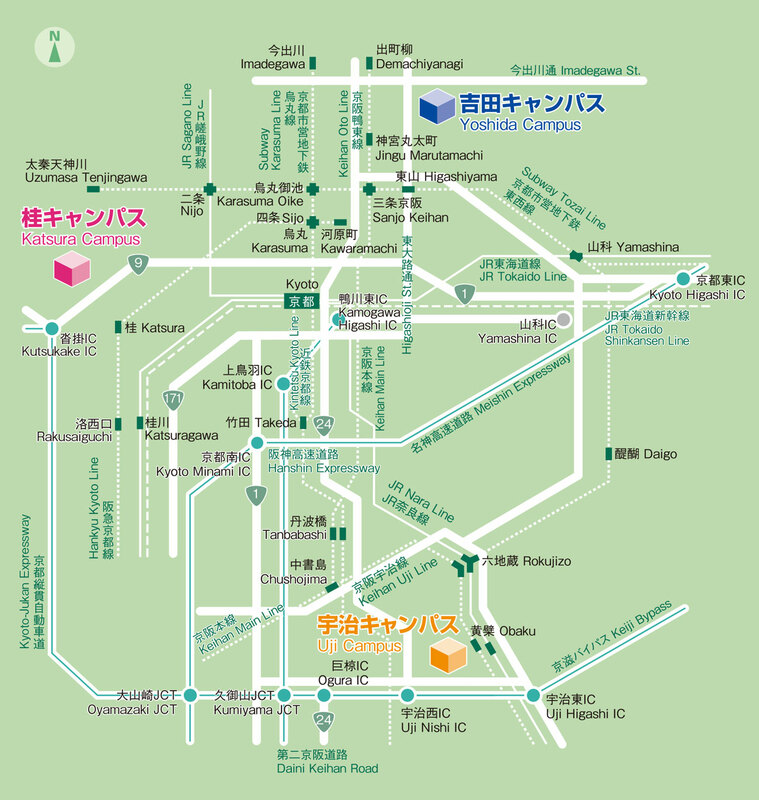 Yoshida Campus consists of seven smaller campuses. 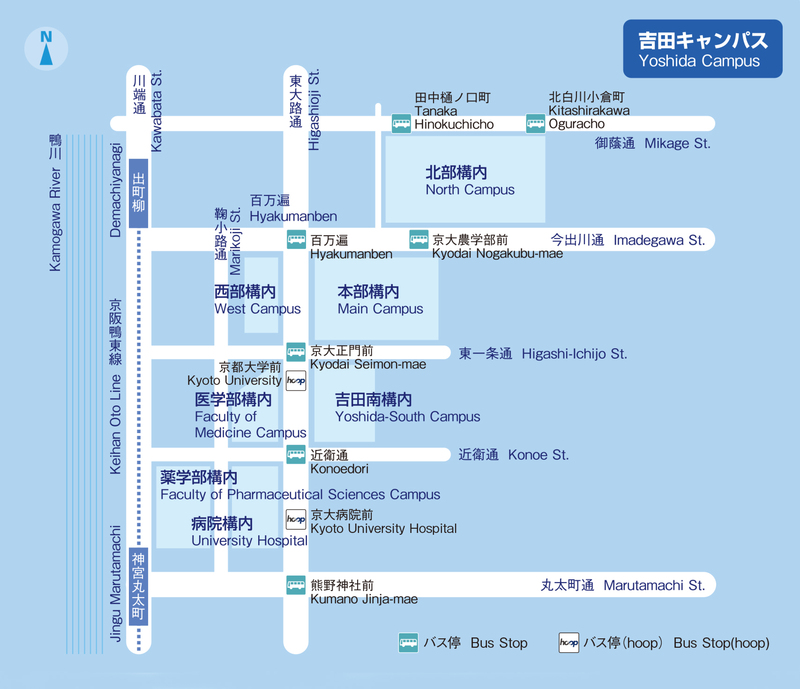 Please note that the stop of city buses closest to each district of Yoshida Campus differs.